‘He Said She Said’ is the latest book by Erin Kelly. In the hushed aftermath of a total eclipse, Laura witnesses a brutal attack. She and her boyfriend Kit call the police, and in that moment, four lives change forever. Fifteen years on, Laura and Kit live in fear. And while Laura knows she was right to speak out, she also knows that you can never see the whole picture: something is always hidden… something she never could have guessed. 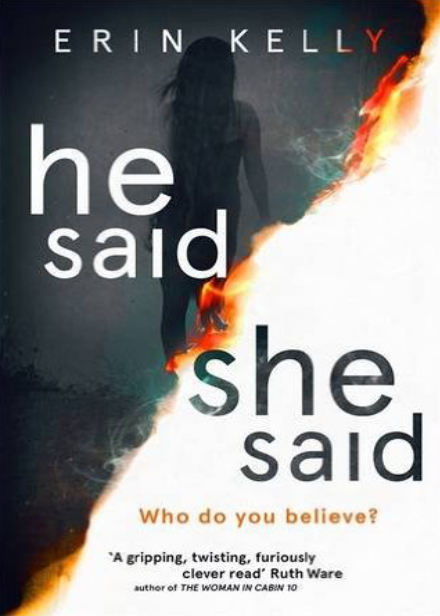 I haven’t read a book by Erin Kelly in a while so I decided that ‘He Said/She Said’ would be my next book, like Erin’s previous books, I knew it was going to a compelling thriller and with the black cover, it gave nothing away. The story is written through the narrative of married couple Kit and Laura, a couple who share a mutual love of eclipses, they’ve travelled the world to witness this amazing sight but on this occasion, Kit is travelling to Iceland alone as Laura is pregnant with twins. It was their love that brought them together but it was what they witnessed many years ago that secured their bond, when they stumbled upon a young woman being attacked, immediately Laura stepped in and helped Beth send her attacker to jail even though he protested his innocence. Laura and Beth then developed a friendship, Beth became dependent on Laura as she was the only person who believed in Beth, but their friendship takes a turbulent turn that leaves Laura and Kit running for their lives and trying to stay off the grid. The story flows through the past and present tense, leading up to Beth’s attack, the court case and the circumstances that followed which left Laura from a confident young woman to a woman who lives in fear and is in a constant state of anxiety. The chapters alternate between both characters between past and present tense and for me this made chilling and compelling reading. Both Laura and Kit are consumed with their love for each other and their passion and protection for each other runs deep. Beth is an intriguing and unpredictable woman, who I found myself not completely sure off, but as the story progresses I did find myself wonder was she actually raped or was she merely going along with Laura claims, but throughout the book there are many twists that made the story gripping reading. A book about different sides of the story, ‘He Said/She Said’ is a cleverly crafted tale of crime and drama, filled with magic and suspense, that will make suspicious of everyone’s version. I loved it. You can buy He Said/She Said from Amazon and is available to buy from good bookshops. ‘A Hundred Pieces Of Me’ was the first book that I read by Lucy Dillon and it was a lovely introduction to the author. 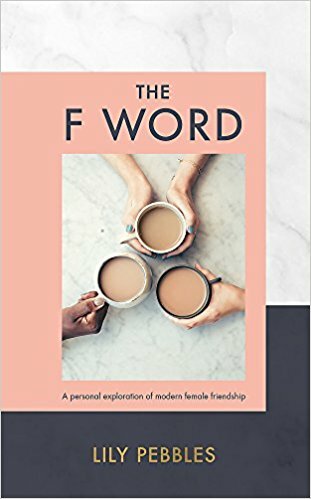 Her story was heartwarming and her writing was a joy to read and I’m delighted to see that she revealed her 2015 book called ‘One Small Act Of Kindness’. When Libby offers to take her in, this one small act of kindness sets in motion a chain of events that will change many people’s lives . . . Beautifully presented, this book sounds deliciously intriguing and a book I look forward to reading. 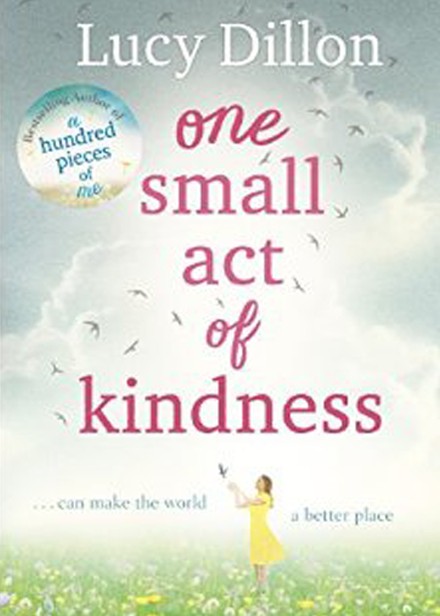 You can pre-order One Small Act of Kindness from Amazon and will be available to buy from good bookshops from 23rd April 2015.